A warm welcome to the website of St Mary’s, Star of the Sea Parish, Sandymount. Our parish was constituted in 1851 to meet the needs of a growing population in Sandymount – Irishtown. The foundation stone of a new church was laid in that year and in August 1853 the church was officially opened. Designed by J.J. McCarthy, of the Pugin neo-Gothic school, Star of the Sea has served the people well in Sandymount and Irishtown over the years and they in turn have looked after it in its beauty and prayerful atmosphere. The gatherings for the liturgy are creative of a community in touch with God and with each other. We hope you’ll find our website interesting and helpful. Don’t hesitate to contact us if we can be of any further assistance to you. First Communion days will be on Saturday May 11th at 11.00am for the boys of Star of the Sea. Saturday May 25th at 11.00am for Scoil Mhuire girls and Sunday May 19th at 10.30am for the children from St. Matthew’s. 3.00pm Liturgy of the Lord’s Passion - Confessions afterwards. 8.00pm Way of the Cross - Confessions afterwards. Sunday Masses as usual 9.00am, 10.30am, 12 noon. 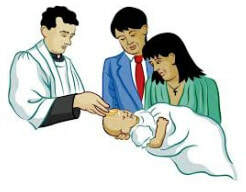 Under our GDPR Policy a request for Baptism certs must be accompanied by a completed form either by the adult person requesting his or her own Baptism cert or by the parent requesting a son or daughter’s Baptism certificate. Parents of children preparing for First Communion and for Confirmation will accordingly need to complete that form when seeking , as is required, their child’s certification of Baptism. This applies to every parish in the Diocese. ​New members are always welcome in our Choirs and this would be a good time for anyone who likes singing (you don’t have to be able to read music) to join. Choir membership involves a practice one Monday night per month and half an hour before 12 o’clock Mass on Sundays. New members welcome for both choirs. (children over 7 years). The Explorers are an inter-church scripture reading group. All are welcome. Bring your bible. Our first session will be held on Monday, 17th September at 7.30 - 9 p.m. in the Community Room of the Mount Tabor Day Centre next to Christ Church on Sandymount Green. Please contact the Parish Office at 668-3316. ​Come join us here at St Mary’s Star of the sea Parish Sandymount for Lenten Evening Prayer of the Church every Tuesday evening at 6:30pm for a half hour of prayer, reflection, song and ritual suited to the whole family! Everyone is Welcome! We congratulate the 88 young people who on this Thursday received the sacrament of Confirmation. ​There may be a Primary School Teacher in our community who would like to be involved in the classes for children attending St Matthew's School and preparing for First Penance, First Communion and Confirmation. Classes are held on Thursdays, from around 3.45 to 5.15. If so, please contact the Parish Office or Fr John. ​Why not have a look at one issue. You might find it’s like a spiritual “Readers Digest”. There’s something for everyone: chatty articles, accessible theology, out-loud thinking on spiritual questions and serious issues, comforting news, art appreciation, a kid’s page (with puzzles and jokes) gardening hints, seasonal recipes and a challenging crossword. Enjoy a friendly game of Bridge on Tuesdays from 2.30pm to 4.30pm at Iris Charles Centre, Newbridge Avenue. All welcome. ​​The Iris Charles Centre is one of our local gems with a dedicated group of people running it. Senior Citizens can meet and enjoy a great lunch or participate in a range of organised activities. The Centre also hosts a Bridge evening every Thursday beginning at 7:00pm for both experienced and novice players. All are welcome. ​Have you ever been to the Centre? Just on the corner of Newbridge Ave. Please know you’re welcome and transport can be arranged. Lunch is served on Mon, Tues, Wed and Fri at 12 noon.